Many women who find themselves in a crisis pregnancy situation are unprepared	emotionally and financially to parent a child. The choice of adoption	is a positive alternative to parenting before you are ready. Adoption	doesn’t work for everyone; however, it can be a viable solution for	many women. If you are still thinking about your options, we can help	you by discussing the choices available to you and helping you decide	what will be best for you and your child given your situation. We will	also prepare you for the feelings and emotions involved in adoption and	assist you in working those through both before and after the placement. Who will help me explore my options? Your Adoption Network of Colorado counselor will provide individualized,	sensitive, and supportive counseling at no cost to you. The decision to	choose adoption is not an easy one to make on your own. It is often a	difficult and painful choice. However, there are ways to lessen the pain	when your feelings are dealt with in a supportive and positive environment. Prospective adoptive parents are carefully screened and are required to	provide a great deal of information about themselves. They are visited	in their home by a social worker, background checks are conducted, and	personal references are checked. They are taught about the special nature	of adoptive parenting before the adoption takes place. By the time our	agency has approved adoptive parents for placement of a child, we have	gotten to know them very well, and feel confident they would make good	parents. This does not promise that they will be perfect parents, but	they are usually decent people who are experiencing infertility and really	want to care for children. Yes! You can choose the family for your baby by selecting from the parents	screened by our agency staff. The family creates a profile book (similar	to a scrapbook) telling about their lives and backgrounds. You will read	“Dear Birthmother” letters and view photographs of the family’s	home, pets, travel, jobs, etc. Or you may choose someone who has been	recommended to you by someone you trust, like a relative, friend, pastor,	doctor, etc. We will represent you, as well as your needs and wishes,	to the family you select. If the family you choose lives outside of the	state, we will arrange with an agency in their state to cooperate with	us in making the placement go smoothly. How do I choose the family to raise my child? Several factors are important when choosing the best family for your child. You must consider what kind of parents you visualize for your child and	what kind of life style you wish for him/her. Here are some questions	to consider. How long has the couple been married? How old are they? Does the couple have other children? What is the couple’s reason for adoption? Is the couple religious? What kind of values does the couple hold? What kind of financial base does the couple have? These are just some sample questions to consider. Our staff will also help	you through the process of choosing a family so you can find the appropriate	one among our selection of pre-approved families. Can I meet the family I choose? Yes, you can meet the adoptive family before placement and talk to them	by phone throughout your pregnancy. If you wish, they also might be able	to be present at doctors’ visits and at the hospital during delivery. We will help you arrange a mutually acceptable schedule for the exchange	of letters and pictures after the placement. Are there other birthparents I can talk to about my decision? Our agency offers continual support to you before and after you place your	baby with the family you select. Talking with others who have experienced	many of the same feelings that you have can be beneficial. We will be	happy to put you in touch with someone who has already made an adoption plan. Yes. You have many choices available to you during your hospital stay. Your counselor will assist you in making a written plan about how you	would like things to go at the hospital. It includes letting the hospital	know how much contact you would like with the baby, who you want to visit	with you and/or the baby, how much involvement you would like the adoptive	parents to have, requesting a private room on or off the maternity floor,	etc. This written plan will help things go smoothly and alert the staff	about how to best serve you during your stay. How soon after the birth will the baby go to the parents I choose? Usually, it is possible for your baby to go directly to the adoptive family	from the hospital, if you are sure of your decision and there is no other	legal or medical reason to prevent it. In some cases the baby will go	to a cradle care family (transitional care) until the legal relinquishment	procedures are completed. How do I know my baby will be well cared for if I choose a cradle care family? Your baby can stay with a loving cradle care family if you are unsure of	your decision or until the legal release procedures are completed if this	is your wish. Cradle care parents are extensively interviewed and specifically	chosen by Adoption Network of Colorado. 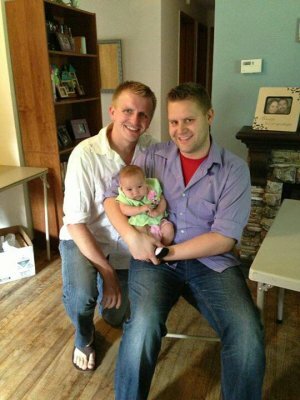 They are stable two-parent families	and have extensive experience in infant care. Cradle care mothers are	not employed outside the home, so the baby is always cared for by one	primary caregiver. Your baby will usually be the only child in the home	placed by any agency. These special people will get your baby off to a	good start! What will my baby know about me? We will obtain social and medical background information that will be provided	to the adoptive couple. They can then be prepared to give informed medical	care and accurate information about you to the child. We also prepare	the adoptive family on how to share the adoption story with the child. We will assist you in planning for the exchange of letters, pictures, souvenirs,	updates, etc. with the adoptive family. 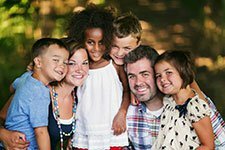 Adoptive families will respect	your need to know that your child is loved and happy. You may want to	write a letter to your child sharing special information about yourself	or send a gift that will tell your child in the future that your decision	for adoption was based on love and wanting the best for their future. We will need any information that you have regarding the birthfather. If	we know who the birthfather is, and we can locate him, he does have the	right to know about the adoption. Our agency will guide him through the	process if he chooses to be involved. We can also contact him for you	if you so choose. Our attorney will be available to advise him of his	rights and responsibilities and to execute the necessary paperwork. If	the birthfather cannot be located, our attorney will take care of the	legal issues as well. What kind of financial assistance will your agency offer me? Most states allow for some help with living expenses during your pregnancy	and for your recovery time after birth. We will help you apply for benefits	to cover your medical expenses as provided by Medicaid and/or private	medical insurance. If no such support is available, the agency may help	you with medical expenses. 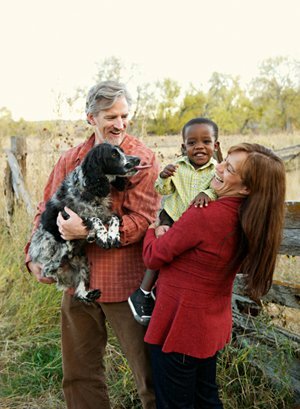 All legal fees for the adoption are covered	by Adoption Network of Colorado of Colorado of Colorado. Counseling services	are also provided at not cost to you. What kind of interaction can I have with my child in the future? · Least open – You will choose the family for your baby, but	will not meet them in person. · More open – You and the prospective adoptive parents will	speak on the phone and exchange first names. You will receive pictures	and letters from them after placement, at mutually agreed upon intervals. · Even more open – You will meet the prospective adoptive	parents at a meeting facilitated by your counselor. They will be present	at the hospital during labor and delivery (either in the room with you	or in the waiting room – your choice). You will receive pictures	and letters from them after placement, at mutually agreed upon intervals. · Most open – You will meet the prospective adoptive parents	at a meeting facilitated by your counselor. They will be present at the	hospital during labor and delivery (either in the room with you or in	the waiting room – your choice). You and the adoptive parents share	your full names, addresses, and phone numbers. You stay in contact with	the family and your child over the years, by visiting, calling, e-mail,	and writing to each other. Will my child wonder why I placed him or her for adoption? Probably. But adoption now is a lot different from what it was when you	were growing up. Most adopted adults understand that their birth parents	placed them for adoption out of love, and because they had a vision of	the kind of life they wanted for their child. Hopefully, your child will	come to realize that many of his or her wonderful traits come from you. And if you have an open adoption, it is likely you will be able to explain	to the child why you chose adoption. With open adoption you are able to	play an important role in your child’s life. What will my baby think of me over the years? You will always be an important person to your child, no matter what level	of openness you have decided upon. Your child will know who you are and	will know about the love and care that went into your decision. The friendship	and relationship you build with the adoptive parents makes it easy to	stay in touch. If your answer is because it is what you and your partner think is best,	then it is a good decision. Now is the time to move in a positive direction	and feel good about it without guilt!